Many people still have a landline phone, as well as often having a mobile as well. Keeping your phone bills low is basically about knowing the right deal for your usage needs, shopping around and then knowing how to make regular savings. Use an online price comparison site to see if you could get your landline phone deal cheaper. There many companies besides the largest ones that could actually offer a deal that is far cheaper for you. If you have a mobile phone contract and think you could get a better deal, get a few quotes from different companies. Often online deals are cheaper for mobiles too. Think about when and how you use your mobile to get the best deal. Remember that often mobile phone companies are so keen for new business that they will buy you out of your current contract as well as offering a more attractive deal. Using an override company means punching in a pin before you make a call. These call charges are far cheaper than using a standard provider, especially if you’re calling abroad. You’ll still pay the line rental for your landline provider. Be aware that because of competition laws, some phone companies can’t block override providers. Other companies can and some do, although not all overrides can be blocked. Instead of dialling 118 118, use the Internet or Yellow Pages to find numbers. If you’re going to be out and about research some free directory enquiries numbers and store them in your phone. The only drawback is that you have to listen to adverts before you get the number you’re after. As long as you have broadband Internet it’s possible to make calls over the Internet for free. In order for this to work, you and the call recipient need to have the right software. You’ll just need to download the software and some headphones. You then make a call to the other person’s username. Many phone providers offer money off for customers who pay by direct debit and use online account management so that they don’t have to be sent paper bills. Even if you don’t want to pay by standing order, you can still get money off by having bills sent by email. 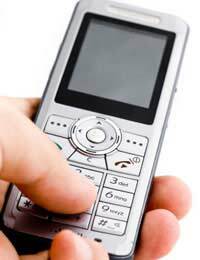 Some phone companies charge for the little extras such as voicemail and caller display. Consider whether you actually want and need these features. Sometimes phone companies waive these charges if a certain number of calls are made so investigate this if you really need the extra features – some people do for work purposes for example. Calling an 0870 number can cost as much as ten times as much as a standard landline number. To add insult to injury these numbers are often for the enquiry, help or complaints departments of companies. Look for an alternative number on the website – even if it’s an admin or sales number. They will usually put you through. If you must call these numbers because there is no alternative use a landline phone and an override provider as discussed above. Many are calling for an end to 0870 numbers and Ofcom are currently investigating the matter. Consider whether it might be cheaper to just have a mobile phone, rather than paying line rental on a landline as well. At one time, people needed a landline in order to have home broadband. However, as mobile broadband technology improves this is no longer an issue. Additionally, many Internet providers now offer broadband through a cable connection, eliminating the need for a landline.